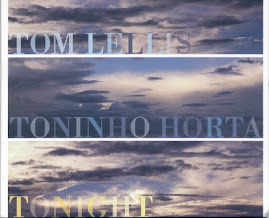 The release of Tonight, with Tom Lellis and Toninho Horta in duet, is - very possibly - the most significant vocal duet event since the release of one record called Francis Albert Sinatra and Antonio Carlos Jobim (Reprise, 1967) without a doubt. There is no other real comparison except that the two are definitive documents of vocal artistry. Such quiet sophistication, yet majestic, soaring artistry is very difficult to achieve. Then there is the quiet yet ferocious fire that burns steadily throughout the record. It is this same haunting quality that marked the meeting of Sinatra and Jobim forty-one years ago. 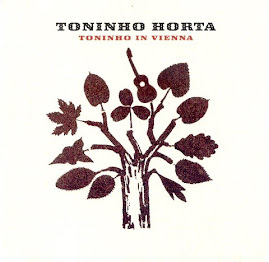 Toninho Horta has long been considered one of the most influential and towering artists on "violao", the Brasilian version of the nylon-string guitar. His work has graced the albums of Elis, Gal, Milton Nascimento, Nana Caymmi, Joyce, Edu Lobo, Chico Buarque and a legion of stellar artists from Brasil. He is a guitarist so intimate and exquisite in technique and style - creating magnificent oceans of melodies and harmonies - that he's influenced many great guitarists including his greatest admirer, Pat Metheny. 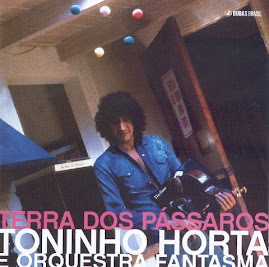 Throughout this recording Toninho Horta plays with grace, good taste and unbridled virtuosity. He is ably abetted on his musical sojourn by the vocalastics of Lellis, the American troubadour with an ability to soar like a bird on a thermal, often bending, then holding notes with aching beauty. 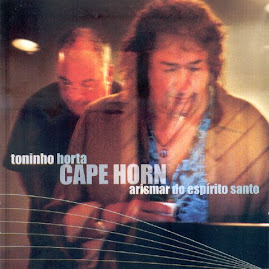 Often through the recording, Horta and Lellis trade verses down the choruses - Horta distinguished by his near-falsetto just short of the range of Nascimento. Then Lellis will sing, raising his voice from the baritone depths to fly high above and in the joyous mood suggested by the writers of the music. The program is largely standards - Rogers and Hart's "My Romance", with Horta taking the first verses followed by Lellis, Hoagy Carmichael and Ned Washington's "The Nearness of You" a singular effort by Lellis, Gershwin and Haywood's. 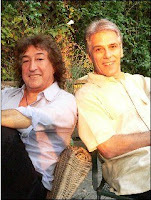 "Summertime", which is a vehicle for Horta and Harold Arlen and Yip Harburg's "Over the Rainbow", which is a event in itself, featuring Lellis in a zone he owns - improvising on a particular instrumentalist, his favorite one in this instance: Keith Jarrett. There is also Cole Porter's "In the Still of the Night", where Lellis' voice caresses the harmonies created by Horta's guitar. 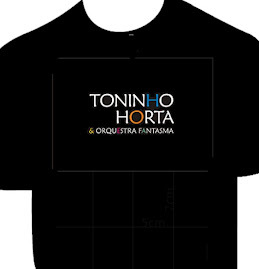 The high points are the originals: Horta's own "Dreamwalking (Nos Tempos de Paulinho)" and "An Infinite Love" to both of which Lellis wrote his distinctive lyrics. 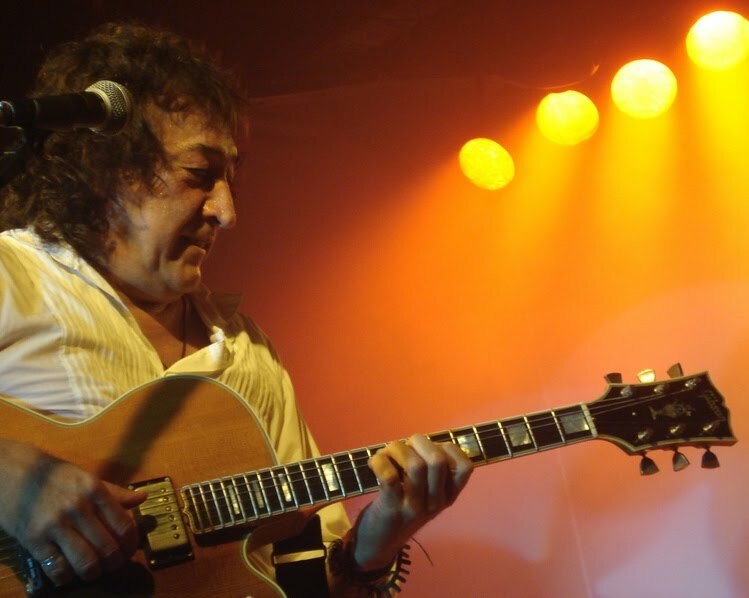 And there is the Lellis original, the tantalizingly beautiful waltz "Three for Marie", which features more stylish and memorable guitar by Toninho Horta. 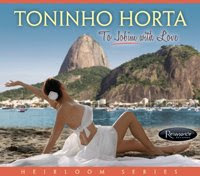 Perhaps the most memorable track of all is "Summertime", which features Horta's improvised words and melody line sung in heartbreaking quartertones. There are few versions of the Gershwin classic, which come even remotely close to capturing the aching feeling of parting that its composer had intended. But then who else but a Brasilian singing "chorinho" with that magical "saudades" could pull this kind of vocalizing off? There is an almost crystalline quality to this record. It is as if silence and sound both dance in interminable circles around each other like lovers. Music like this is alive like no other. I Love You; Over the Rainbow. Tom Lellis: vocals, piano and shakers.